Remember when your parents used to tuck you in at night and they said with a smile, "Night, Night don't let the bed bugs bite!"? Many people thought bed bugs were something of our imaginations like the boogie man, but they are real and they are becoming more and more common in today's households. Bed Bugs were first noticed in society by Americans in the early 1700's. Many problems with bed bugs can be found in scripts and literature from this time period all throughout North America. Many believe sail boats returning from Europe were found to be infested with bed bugs. And many of the sailors complained of being attacked by these bugs as they slept in their cabins. Bed bugs have made a recent comeback. Some research indicates that up to 25% of residents in some cities have reported problems with them. For these residents, bed bugs are not only a nuisance, but a problem bordering on epidemic levels. History has never seen such widespread and intense bed bug infestations. With increased world travel, bed bugs are again making their presence felt as they are removed from one country and introduced to another through international transport on clothing, luggage and the human body. Bed bugs can be found on airlines and cargo holds. Bed bugs can also be transferred from an overnight stay in hotels, motels and Inns. This is not the first time there has been bed bug infestations in the United States. Prior to World War II, bed bugs were common, but with improved sanitation and the extensive use of DDT in the 1940's and 50's bed bugs practically vanished from the U.S. Unfortunately these pests remained active throughout the world and now with international travel so common along with frequent immigration to the United States, bed bugs are making a rapid comeback to our homes, apartments, hotels, dormitories and other living shelters. This uncontrolled resurgence is due to pesticides having become less effective, and because many pest control operators are not familiar with bed bugs and the appropriate actions necessary to eliminate an infestation. Bed bugs are brownish in color with flattened-oval bodies. Adults are about 3/16" of a inch in length while nymphs are smaller and lighter in color. Adult females can lay about 5 eggs per day and about 500 in a lifetime. The eggs are whitish in color and are hard to see without magnification. These eggs will turn into nymphs and before long you may have a full blown infestation on your hands. Bed bugs often are mistaken for ticks, cockroaches, or bat bugs. Bed bugs are a sneaky pest that tend to hide during the day, and can be difficult to find because they like to use their flattened bodies to hide in small cracks and crevices. Bed bugs will usually live near their feeding source and for that reason they generally live near a bed or other commonly used furniture. Unlike ants or bees, bed bugs do not have a nest but they do tend to congregate in groups. They will often live in/or around your mattress, bed frame, headboard, nearby furniture, flooring, etc. These areas of infestation can generally be detected by the appearance of small dark specs and markings on their surfaces. These small reddish to brown specs and spots are from dried excrements of bed bugs; you may also find eggs, nymphs, molted shells and the bed bugs themselves. Bed bugs can move quickly along ceilings, walls, floors and furniture. It is very common for bed bugs to travel quickly from one adjacent room to another. Hotels, motels, apartments and other tight living environments need be very careful to quickly identify a bed bug infestation and be extremely proactive when an infestation arrives. People often suspect bed bugs just showed up out of the blue, come from leaving the front door open, or are encouraged due to a messy home. These thoughts are not true in just about every case. Bed bugs more often than not, come into someone's home by way of hitchhiking! They are crafty little pests that can easily sneak onto a person's luggage or clothing while traveling, or in furniture when brought into a home. Just think of your luggage stored next to everyone else's on a plane or ship! When traveling it is a wise practice to inspect your hotel/motel room and mattress for bed bugs prior to occupying it using the identification tips mentioned previously in this section. Even the cleanest, most upscale hospitalities across the world are susceptible to bed bugs, so you should always perform a quick, yet thorough inspection to your room so you do not bring home any unwanted souvenirs! When buying furniture for your home, be sure to closely inspect for small brownish spots, specs and other markings and signs of bed bug infestations. Even new mattresses and furniture have been found to carry bed bug infestations, so it is wise to check all furniture that enters your home for such markings and potential infestations. I Think I Have Bed Bugs, What Do I Do? There's only one way to get rid of bed bugs. Thoroughness. From the initial inspection, to the last step of removing a bed bug population you must be thorough all along the way. It is important to remove all clutter from each room. The more hiding spots bed bugs have, the harder it will be to eliminate an infestation. Removing all loose clothing, boxes, and other clutter from a room is necessary in battling a bed bug population. It is also extremely beneficial, recommended and oftentimes necessary to discard a mattress that is infested by bed bugs. All mattresses after treatment should be covered with a bed bug cover to help prevent future problems. Removing/replacing a mattress alone will not eliminate a bed bug infestation. As a homeowner, landlord or grounds/property manager you should know that this is a pest that rarely can be controlled â€œin houseâ€. It is very important that you work with a highly regarded and professionally licensed pest operator when removing a bed bug infestation. Unlimited uses products that specifically target bed bugs, follows regulations, as well as the product label's usage instructions. Only products that are labeled for use with mattresses, beds, and other furniture will be used in those areas. At Unlimited we are a fully licensed, insured and experienced company in handling insect infestations such as bed bugs. We incorporate a detailed inspection with the most comprehensive treatment program available for your home, apartment, condo, hotel, etc. When you enter your hotel room head straight for the bath room and place your luggage there (bed bugs are very rarely found in the bathroom because of the cold tile or marble floor). Then give your room a thorough bedbug inspection. Pull back the linens and check all the way around and under the mattress. Look for blood stains or black dots that look like mold or ground pepper. Bedbugs are about the shape of an apple seed, and you may find them hiding in the corners or seams of the bedding. Next check behind picture frames, under telephone and alarm clock and even in books. check in the cushions and seams of any couches or soft chairs and in the closets and clothes draws before you put your clothes away. Studies have shown that most bed bugs are found within 15 feet from the bed. If you see any suspicious signs, alert the hotel staff immediately. Any suspicious markings or evidence of bedbugs should be enough to warrant a new room. Request that your room be at least two floors away from the intial room, since chances are good that bedbugs may spread via the wallboards or electrical sockets. 1) REMOVE ANY CLUTTER IN BEDROOMS AND LIVING ROOM AREAS PRIOR TO TREATMENT INCLUDING CARDBOARD BOXES , PAPER, CANS, POSTERS, PAINTINGS, PICTURES ON WALLS, CLOTHING, STORAGE, ETC. 2) REMOVE ALL LINENS FROM BEDS, COUCHES, SOFAS AND DRAPES FROM WINDOWS, ETC. PRIOR TO BED BUG TREATMENT AND PUT IN DRYER AT HIGH HEAT BEFORE THEY CAN BE RETURNED TO RESIDENCE AND ONLY AFTER TREATMENT. 3) PULL ALL FURNITURE AWAY FROM WALLS AT LEAST 12 INCHES. ALL BEDROOM DRAWERS AND CLOSETS MUST BE EMPTIED OF ALL CLOTHING AND PUT INTO PLASTIC BAGS. THEN THE CLOTHING SOULD BE TAKEN TO A LAUNDRY MAT, PUT INTO A DRYER AT HIGH HEAT TO KILL ANY BED BUGS THAT MAY BE IN THE CLOTHING. 4) VACUUM ALL CARPETING AND FLOORING AND THROW VACUUM CLEANER BAGS OUT IMMEDIATELY PRIOR TO TREATMENT. 5) ALL BEDS, COUCHES AND ANY SLEEPING APPARATUS MUST BE MADE ACCESSIBLE TO THE SERVICE TECHNICIAN. IN SOME CIRCUMSTANCES MATTRESSES AND COUCHES IN POOR CONDITION SOULD BE THROW OUT. 6) ALL LUGGAGE STORED IN THE HOME MUST BE EMPTIED AND OPEN SO THE TECHNICIAN CAN TREAT THEM. ESPECIALLY WHEN A FAMILY MEMBER HAS RECENTLY RETURNED FROM A TRIP. 7) IT IS ALSO ADVISABLE TO PURCHASE A HIGH QUALITY ZIPPERED MATTRESS AND BOX SPRING COVER AFTER TREATMENT. WE SELL THEM ON OUR WEBSITE PESTDEPOTUSA.COM. 1. Keep children and pets away of treated areas until the treatment has dried. This will take approximaely 4-8 hours. 2. Ventilate your house prior to occupancy. 3. Vacumm up dead Bed bugs and eggs. Discard vacuum cleaner bag after clean up. 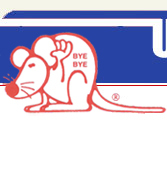 Please call 800-544-PEST (7378) to talk with an Unlimited Pest Representative for a price quote on pest treatment.